The Jewish Social Service Committee is a unique organization in our community. For more than 100 years we have been the only all volunteer organization giving immediate short term financial aid to needy Jewish people in Middlesex County. We are the only organization that has no expenses. Every dollar donated is used to help the needy. JSS was established as directed in the Will of Amelia Marks of New Brunswick. The will, dated October 1913, states "...to pay in their discretion, to any poor Jewish girls, residents of said city of New Brunswick, who may marry Jewish men, also poor, upon such marriages respectively or within a reasonable time thereafter, the sum of two hundred dollars to each and every one of them." (More than $4500 in today's dollars). The will further states that after ten years the interest from what remained be used for the "support and maintenance of the Jewish poor of the City of New Brunswick." And so JSS was born from the generosity of this woman who signed her will with "her mark". Mrs. Marks, a widow, operated what we would now call a "shmateh store" in downtown New Brunswick. Living a frugal life, she was able to accumulate enough money to establish our organization, the Jewish Social Service Committee. Through many takeovers and mergers, the trustee of the original bequest is the Bank of America. Adhering to the stipulations of her will, we only use the interest generated from the original bequest. The interest generated from the bequest is relatively small in view of the hardships facing the needy in our community. 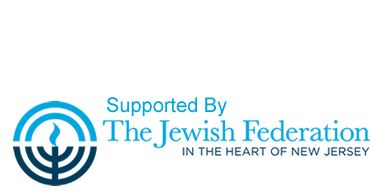 The remainder of our budget is provided from the generosity of members of the community, a few foundations, and the Jewish Federation of Greater Middlesex County. JSS was fortunate to receive an additional bequest to be used for medical needs in the Jewish community. In recent years approximately $130,000 was spent annually helping those in need. Automobile Repairs help clients work! ©2015 site owned by Jewish Social Service Committee of New Brunswick and Highland Park Inc.